Safa Faidi is a third-year Biomedical engineering student at Ryerson. She currently works as Student Support Lead at International Student Support. In this blog post, she shared with us the top five things she found different about Canada compared to the Middle East. In the Middle East, the first day of the weekend is actually Friday. So, coming to school on a Friday was not fun (it still isn’t). I always assumed Canada was pretty strict about personal space. Apparently those rules disappear when you ride the subway during rush hour. For some reason, many people here assume that Middle Easterners are camel-riding, tent-living people. 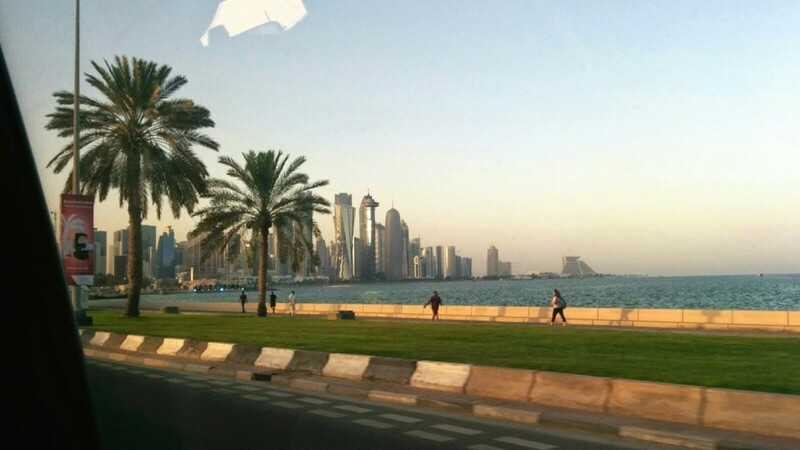 Here is a gif to show you what a Middle Eastern city, specifically Qatar, looks like! If you’re familiar with Middle Eastern food, you know that we put an average of 5-10 different spices per cooked meal. So, fries with gravy on top as a main dish did not make sense to me… Where are the spices?????? In the coldest day in Qatar (which was probably just 15 degrees), I would wear boots, a jacket, a scarf and if I’m feeling a little over-the-top I would add gloves. Looking at this now, I realize how ridiculous that is as the average temperature in the winter here is negative 15 degrees. Also, WHY IS THERE SO MUCH SNOW HERE?